The sector must ensure its growth is in line with environmental best practice and community expectations. 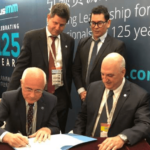 The Australasian Institute of Mining and Metallurgy (AusIMM) encourages the resources sector to renew its focus on social licence to sustain its growth. Sustainable development is at the forefront of modern mining policy. Australia’s resources sector has the capacity to lead the way as a stable, profitable and considerate industry. The Australian resources sector wants to grow, and for the benefit and prosperity of the Australian economy, it needs to grow. But part of this growth must have a renewed focus on sustainability and social licence to ensure that growth is in line with environmental best practice and community expectations. The Australasian Institute of Mining and Metallurgy (AusIMM), as the peak body for professionals, is leading the conversation on sustainability by bringing experts together at two upcoming events: the Sustainable Development in the Minerals Industry Conference (SDIMI) and a Social Licence to Operate (SLTO) Forum. AusIMM chief executive Stephen Durkin says that SDIMI, to be held in Sydney from May 27-28, will give a platform for professionals to share their learnings and best practice in sustainability. “If we want sustainable growth in the resources industry, we need to encourage transparent conversations about any environmental impacts, and how we offset and minimise them to safeguard the communities we work in, sector employment and economic growth,” Durkin says. Presentations by key experts at SDIMI will discuss how the sector can create a new working paradigm for social licence and propose new approaches for improving global practice in sustainable development. SDIMI keynote speaker Deborah Shields says the discussion holds one vital importance. “The conference theme of social license is both timely and critical. Stable, prosperous, healthy and equitable societies and economies require minerals, but mineral extraction is increasingly controversial,” Shields says. 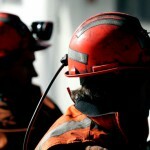 According to Ernst and Young’s (E&Y) annual survey of extractive sector leaders, the number one risk facing the industry in 2019-20 is (Social) ‘Licence to Operate’ (SLTO). While some mining companies have developed internal SLTO strategies that deliver competitive advantage, a sometimes narrow and static focus means SLTO remains elusive and generally poorly understood, requiring more education and emphasis. “We need to accelerate our thinking on social licence when it comes to the resources industry if we are to stay competitive and relevant,” Durkin says.